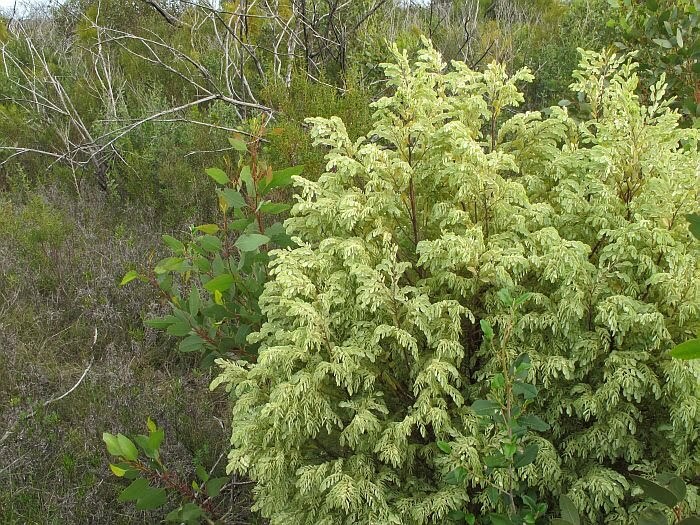 The genus Olax belongs to the very diverse Olacaceae family that is widely distributed in the Southern Hemisphere. 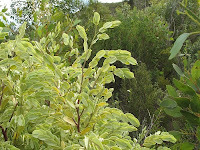 These plants are to various degree root parasites on other species, although a group within the family are not, but based on floral parts still belong here. Olax are partially parasitic (hemiparasitic) and dependant on the host plants ability to produce moisture and nutriments, will determine the extent these hemiparasitic species are dependent upon them. 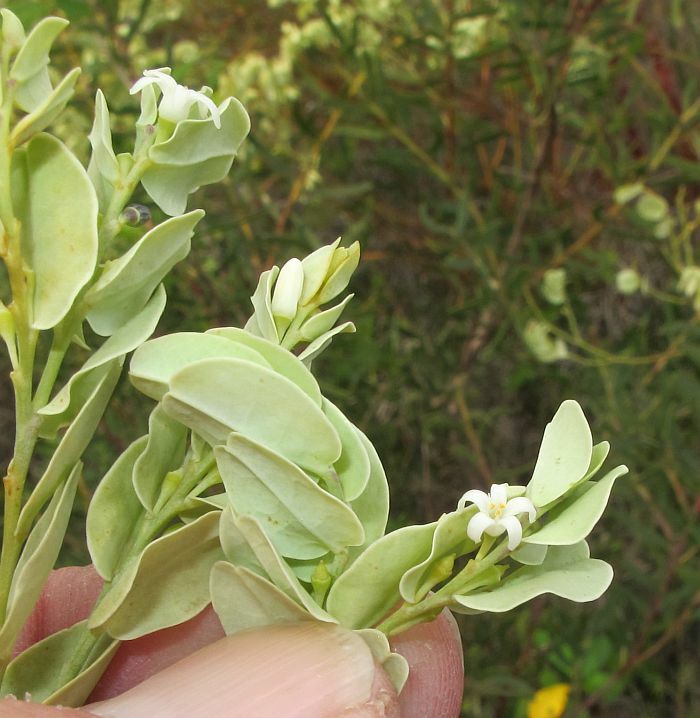 In Western Australia there are 6 Olax species, with 2 found in the Esperance region and both are easily confused. 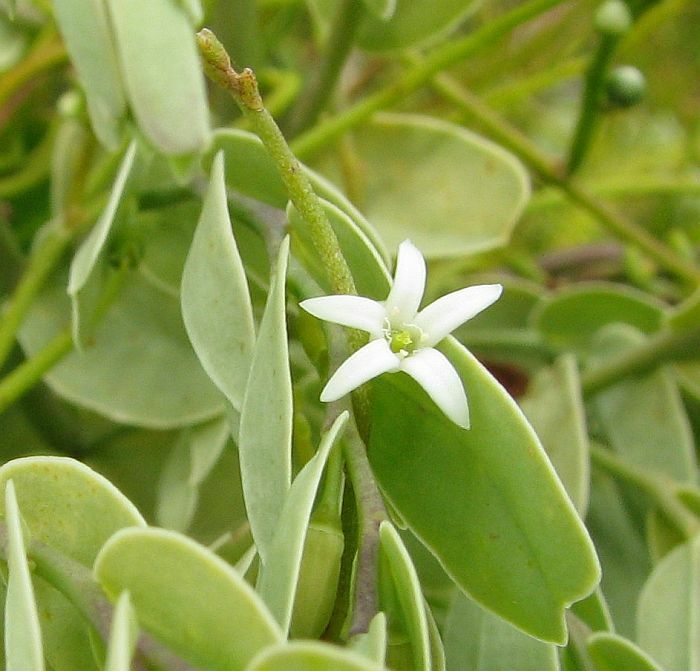 Olax phyllanthi is mainly encountered on stabilised tertiary calcareous dunes, where it is quite common and widely spread from Israelite Bay (east of Esperance) along the coast to Augusta (most westerly portion of the south coast). In this habitat they will occupy hollows and dune slopes and due to their contrasting pale grey/green color can be seen and recognised from some distance. The other local Olax (Olax benthamiana) can also be found in the calcareous dunes region, but is more widespread further inland on sandy soils, sometimes over gravel. 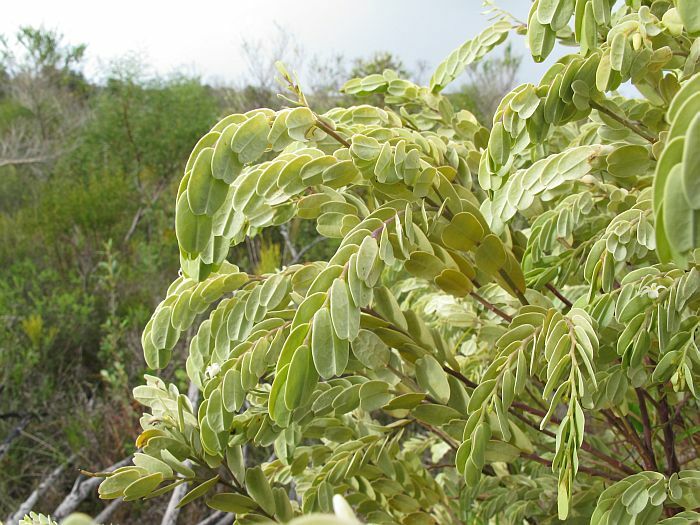 The most obvious difference between them are the leaves, which are channelled with O. benthamiana and not flat like Olax phyllanthi, plus the tips of the former are usually pointed and recurved. 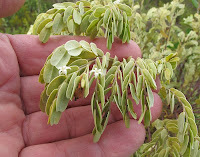 The flowers of both species have stamens and staminodes (rudimentary sterile stamens), which are forked with O. benthamiana, but undivided with O. phyllanthi. 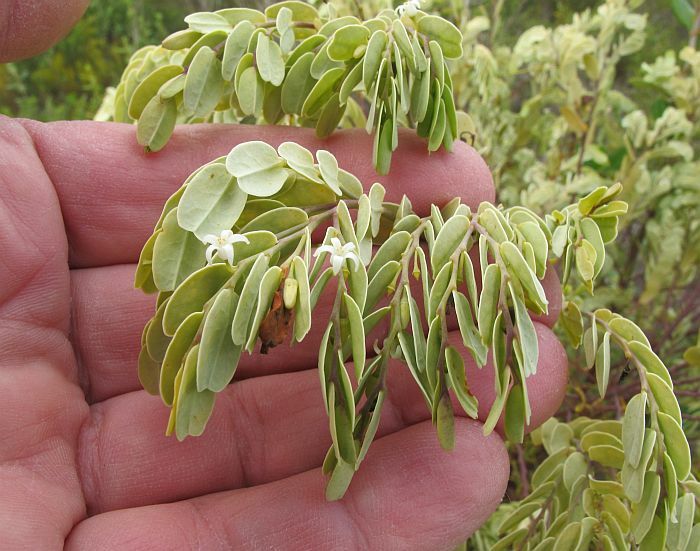 The flowers of Olax phyllanthi can bloom on and off throughout the year, but are not much to look at, being solitary, white and small. 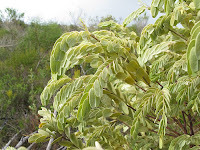 However the weeping grey/green foliage with the distinctive broad oval leaves are certainly eye-catching and further enhanced as they sway heavily in the wind. 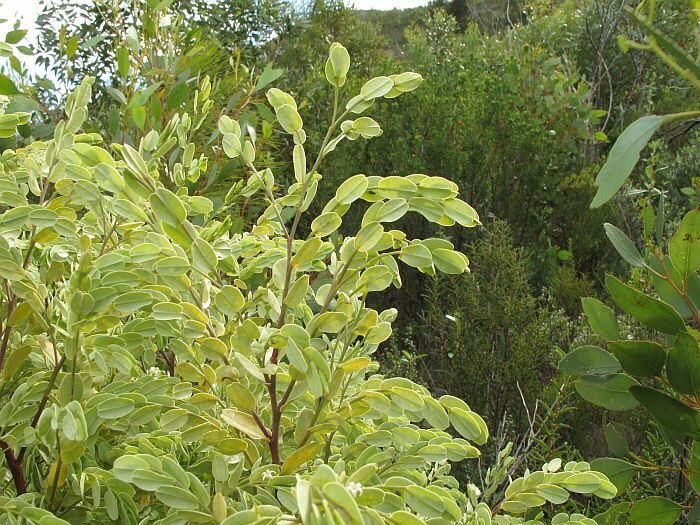 In sheltered hollows shrubs can grow to 1.5 metres (5’), but on exposed slopes are usually less than a metre (3’) in height.